I had to have it. It is a mix of Taekwondo, Karate ,Jujitsu, Muay thai ,Boxing and Capoeira set to some awesome tracks. This is the kind of program that will burn more calories than you think at first. Dan Cohen and Rachael Newsham are two of the best trainers you could have. They know how to cue and keep you in the program even with out looking at the screen. I would honestly say the HIIT workouts are on par with Insanity. I have not done a full round of this one yet but that will change as soon as i start you will be able to view my Progress/Journal Here. 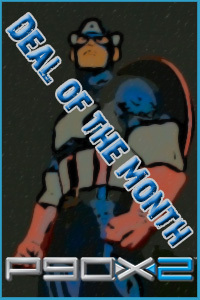 In the mean time don’t for get to Make me your coach and join the quest to get #SuperHeroRipped. HIIT POWER: High Intensity Interval Training to push you into muscle-conditioning overload. COMBAT 60: high-repetition sequence of moves that will have your muscles firing on all cylinders. COMBAT 60 LIVE: this workout hits every muscle hard. LOWER BODY LEAN OUT. combination athletic/mixed martial arts training workout. 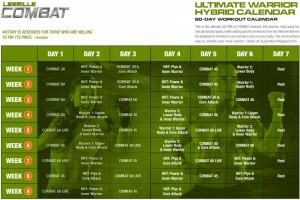 P90x2 Day 16 les mills Body Combat?